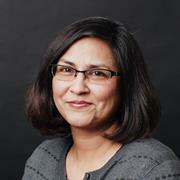 Dr. Fauzia Ahmad received her Ph.D. degree in Electrical Engineering in 1997 from the University of Pennsylvania. Prior to joining Temple University in 2016, she was a Research Professor and the Director of the Radar Imaging Lab with the Center for Advanced Communications, College of Engineering, Villanova University. Dr. Ahmad is a Fellow of the IEEE and a Fellow of the SPIE. She has been a Principal Investigator and a Co-Principal Investigator on various projects with the total research awards exceeding $7M. These projects have been funded by the various US Federal agencies. Dr. Ahmad is an associate editor of the IEEE Transactions on Aerospace and Electronic Systems and IEEE Geoscience Remote Sensing Letters. She is a member of the Radar Systems Panel of the IEEE Aerospace and Electronics Systems Society (AESS), a member of the Sensor Array and Multichannel Technical Committee of the IEEE Signal Processing Society, a member of the Computational Imaging Technical Committee of the IEEE Signal Processing Society, and a member of the Franklin Institute Committee on Science and the Arts. She is the chair of the IEEE Dennis J. Picard Medal for Radar Technologies and Applications Committee. She served as an Associate Editor for the IEEE Transactions on Signal Processing from 2014-2018 and SPIE/IS&T Journal of Electronic Imaging from 2013-2017. She chaired the SPIE Compressive Sensing Conference Series from 2012 to 2018. She is the chair of the IEEE AESS Philadelphia Chapter and SPIE Big Data Conference. States), S.o.f.P.I.E.(. (2016). Compressive Sensing V : From Diverse Modalities to Big Data Analytics : Baltimore, Maryland, United States, April 17, 2016. Bellingham, WA: SPIE. and Uncorrelated Signals Using Active Nonuniform Arrays. IEEE Providence Section, University of Rhode Island, West Greenwich, R.I..
States), S.o.f.P.I.E.(. (2015). Compressive sensing IV 22-24 April 2015, Baltimore, Maryland, United States ; [part of SPIE DSS, sensing technology + applications]. Bellingham, WA: SPIE. Stiefel, M., Leigsnering, M., Zoubir, A.M., Ahmad, F., & Amin, M.G. (2015). Distributed greedy sparse recovery for through-the-wall radar imaging. Annual Review of Progress in Applied Computational Electromagnetics, 2015-May. Jokanovic, B., Amin, M.G., Zhang, Y.D., & Ahmad, F. (2014). Time-frequency kernel design for sparse joint-variable signal representations. European Signal Processing Conference, pp. 2100-2104. Boudaher, E., Jia, Y., Ahmad, F., & Amin, M.G. (2014). Direction-of-arrival estimation using multi-frequency co-prime arrays. European Signal Processing Conference, pp. 1034-1038. States), S.o.f.P.I.E.(. (2014). Compressive sensing III : 7-9 May 2014, Baltimore, Maryland, United States. Bellingham, WA: SPIE. Wang, X., Amin, M., Ahmad, F., & Aboutanios, E. (2014). Coarray based optimum geometries for DOA estimation with multiple CRPA GPS arrays. 27th International Technical Meeting of the Satellite Division of the Institute of Navigation, ION GNSS 2014, 3, pp. 1839-1846.